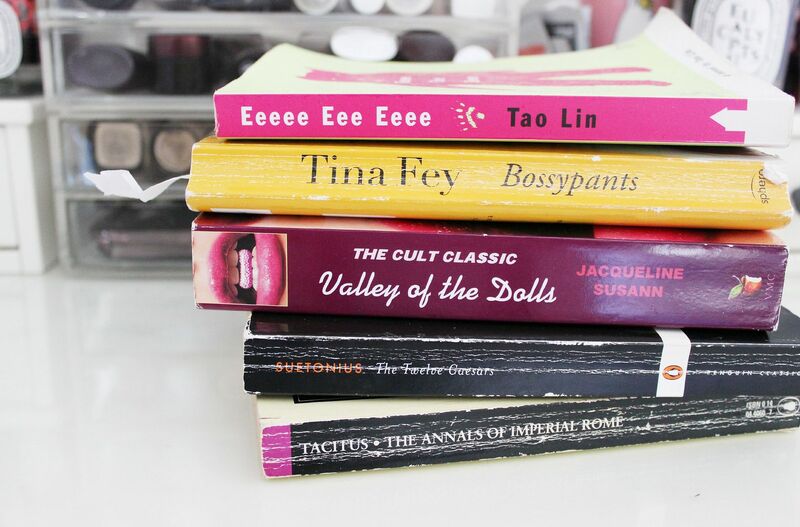 In a bid to add a bit more of a lifestyle themed post every Friday, I thought I’d kick things off mentioning the 5 books I’ve been reading lately. Starting with the… less glamorous… I’ve been reading and re-reading two ancient history books for an essay which I just finished. Suetonius does quite juicy biographies about the first Roman emperors, like Julius Caesar and Nero. If you, like me, enjoy ancient history… nope, thought so. Eeeee Eeeeee EeeeeeEEEEEeeee EEEEEEEEE by Tao Lin is one of those kind of indie, quirky books that looked really good & I’d been meaning to read for ages. I borrowed this from my best friend, but I found it so awkward and so deliberately clunky. It just didn’t really work that well. I am currently reading Valley of the Dolls, on the recommendation of Kate and it’s good so far. It’s meant to be these girls addicted to drugs/’dolls’ in the 60s, but at the moment everything is fine which isn’t as exciting, haha. Not 100% gripped yet, but I will keep going because it’s promising.